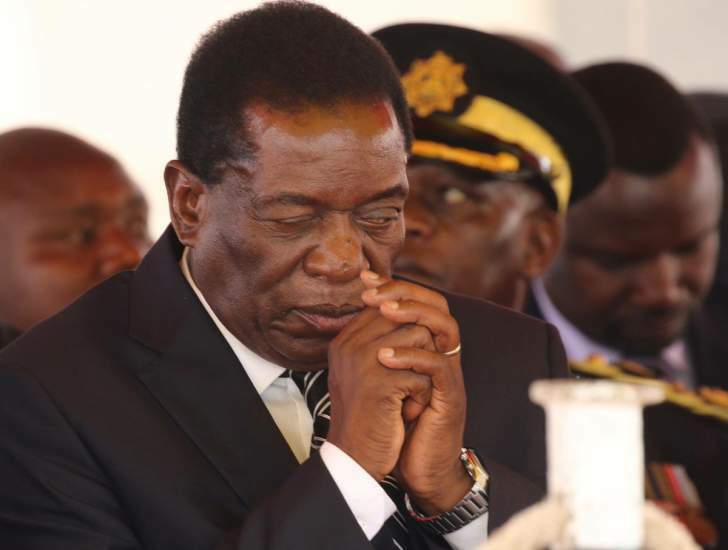 PRESIDENT Mnangagwa, who is seen as one of the major role players in the Zimbabwe genocide, says debate on the Gukurahundi issue should have started a long time ago and resolution of some of the issues finalised back then. Mnangagwa challenged the nation to open up discussions on the subject - which was taboo in the previous era. He said his recent engagement with the Matabeleland Collective, an umbrella body of civil society organisations from the region, was eye-opening regarding issues of neglect that the people in the south and south-western region felt so strongly about. And the meeting, the first of its kind between the people and the Republican President, was instructive as it resulted in the creation of a matrix of implementation of issues raised by the people of Matabeleland. President Mnangagwa made these remarks in an interview with the national broadcaster ZBC on Saturday ahead of this year's 39th Independence Day celebrations. The interview will be aired on April 17. "The question of Gukurahundi, personally I don't see anything wrong in debating it on television and in newspapers," he said. "Let us debate it. It was so open a debate and at the end of the day, we feared nothing. There was nothing to fear about that debate. Actually, it's critical that we have that debate and as a result of that conversation we have created a matrix of implementation of ideas to deal with issues that were raised. Some of the issues could have been resolved a long time back. In my view, there is not a single issue that cannot be discussed and a way forward crafted." The President continued: "What I am happy about is that the Matabeleland Collective approached me and said they want to discuss with me the issue of Gukurahundi, the issues of lack of development and I agreed. "These are citizens of this country. I went there and I discovered that it was unfortunate that in the past we did not entertain such dialogue. It's very useful. We learnt a lot from that dialogue and in fact, the differences are not critical, there are issues we can discuss and together craft a way of looking forward. We discovered that in fact they are not saying we don't want the Government of the day. They are saying the Government of the day is failing us in this area and that area. This is a platform. Government can explain itself and be able to appreciate the needs and priorities of the areas." Turning to the issue of devolution, President Mnangagwa said the concept was going to encourage competition for development among provinces. He said he supported the idea of devolution adding that its implementation was in line with constitutional provisions. "I personally believe it (devolution) is good," the President said. "It allows the devolution of power from the centre going to the provinces and also directing the various provinces to look at themselves, interrogate the resources which they have, their strengths and weakness and on the basis of that modernise, grow their economy on those basis, see the level of their GDP as a province or as a region. That way, there will be competition for development rather than a system where everybody says Harare, Harare and do nothing about the resources they have at the local level. I am happy that the fact that I support devolution, the constitution also bids us to obey the constitution and implement devolution. We have put some money. "I can't remember the figure but it translates to a huge sum that we have given to each province to deal with priority areas in which they themselves as a province, as a locality as local communities think are priorities for their area. Yes, the Government looks globally over the entire country and say we think this is a priority in Matabeleland North, but the people there, given a budget, may have priorities different from those crafted by central Government." President Mnangagwa said the issue of devolution became one of the top issues discussed during the constitution making process although other parties were not agreeing to the concept.